The central theme of my research is galaxy formation and evolution. 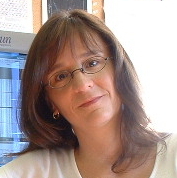 I study the properties of galaxies at different cosmic times and in various environments in order to obtain a more complete picture of how galaxies assemble and evolve. These include the star formation and black hole accretion activities which can then be used, for example, to understand the role of central massive black holes in galaxy formation and evolution. One of the most fascinating discoveries of the past few decades is that most, if not all, massive galaxies with a central bulge contain a centrally located supermassive black hole (SMBH). Correlations between the central SMBH mass and their bulge properties have led to the current view that galaxy mergers are responsible for their synchronous growth. However, there is growing evidence that SMBH not only exist at the centers of massive galaxies with a central bulge but at the center of bulgeless galaxies. Our analysis of 1.12 million galaxies in the SDSS DR7 with quantitative morphological classification and central massive black hole (CMBH) accretion activity has shown that CMBH are most likely generically present in all morphological types, including bulgeless galaxies. Our analysis has also shown that the actual correlation is between the CMBH mass and the total stellar mass of the galaxy, and hence that the previous assumption that the black hole mass is correlated with the bulge mass is only partially correct. Our analysis of CMBH activity in dwarf galaxies is consistent with this correlation extending into the lower mass regime. But much more data and follow-up observations of these sources will be needed to confirm this trend. Dwarf galaxies are the most abundant type of galaxies in the Universe. Their name derives from their small size, low luminosity and low mass, which is at least two orders of magnitude below the stellar mass of a galaxy like the Milky Way. This makes them difficult to detect and only those nearby can be studied in any detail. 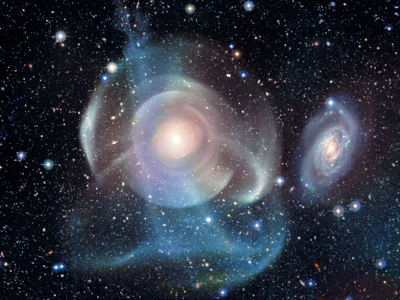 As possible survivors of a once much more numerous population of building blocks of larger galaxies, they are key to understanding structure formation and very early star formation processes. They are also very sensitive probes of their environment. 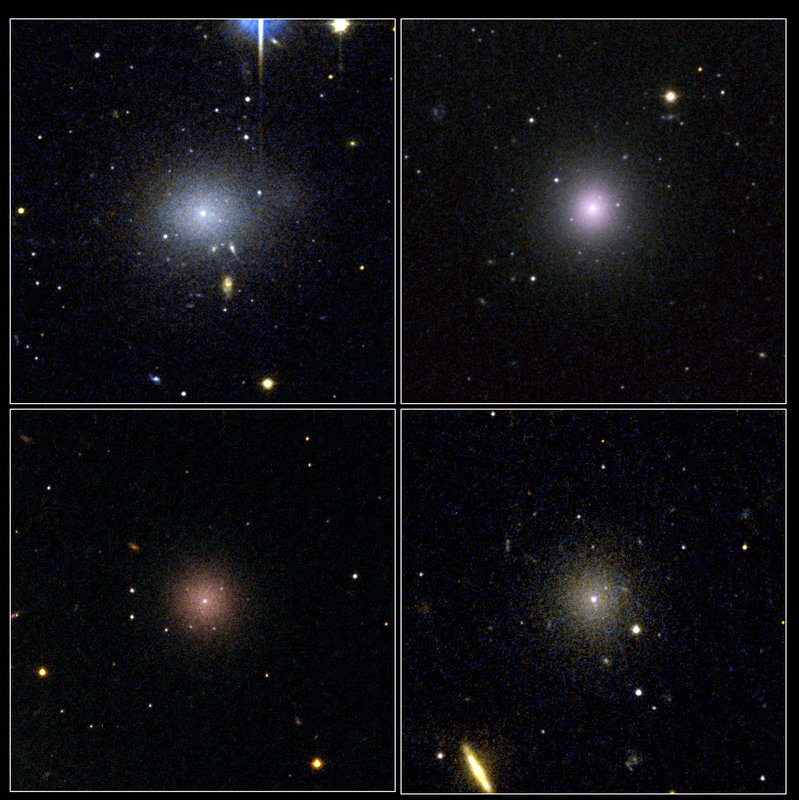 We are conducting extensive surveys of these low-mass galaxies in the field and in high density environments with deep imaging and spectroscopic data. Violent episodes of star formation occur in galaxies infalling into clusters when they first encounter the intra-cluster medium (ICM). Most of this star formation is dust-absorbed and therefore only observable through mid- and far-infrared observations. We have mapped three rich clusters of galaxies at z ~ 0.2 in the infrared using the Spitzer Space Telescope and obtained optical spectra of the infrared sources in order to measure their redshift, determine their source of infrared emission (star formation versus AGN), and obtain an estimate of their obscured and unobscured star formation rates as a function of clustercentric distance. We are finding that the far-infrared sources in these clusters are predominantly powered by star formation and clustered in regions far from the center of the cluster. In the case of Abell 1763, they seem to be situated along a filament supporting the idea of infalling galaxies experiencing bursts of star formation during their first contact with the hot intra-cluster medium. The majority of light emitted by nascent stars in galaxies is re-processed by the surrounding dust and re-emitted in the infrared. This infrared emission accounts for one third of the total light emission in the local Universe and for more than half of the total cosmic optical+infrared background. My research has concentrated on studying the properties of these infrared galaxies such as their redshift distributions, star formation rates, luminosity functions, and evolutionary effects using the Spitzer Space Telescope as well as optical ground-based telescopes such as WIYN and Palomar. The nature of the dust distribution in galaxies and its effects on other tracers of star formation is one of the outstanding problems in infrared astrophysics. The morphology of the dust in our nearest spiral neighbor, M31, was revealed by new spectacular images in the mid- and far-infrared with the Spitzer Space Telescope. The segmented nature of the spiral arms and the prominence of an offset ring of star formation suggest that M31 has been distorted by interactions with its satellite galaxies. We also studied in detail the properties of the dust emission in M31's dwarf companions NGC205, NGC147 and NGC185. NGC205 The Spitzer images of NGC205 reveal a complex and fragmented emission coming from both very small dust particles and larger grains. Our measurements suggest a total dust mass of 3.2 x 10^4 solar masses at T ~ 20K. The Spitzer images of NGC185 display a mixed morphology characterized by a shell-like diffuse emission region surrounding a central concentration of more intense infrared emission. On the other hand, the dwarf galaxy NGC147 located only a small distance away from NGC185 shows no significant infrared emission beyond 24 micron. The derived dust mass for NGC185 is 1.9 x 10^3 solar masses at T ~ 20K and we obtain an upper limit for the dust mass of 4.5 x 10^2 solar masses for NGC147. MIPSGAL is a survey of the inner Galactic disk with Spitzer at 24 and 70 micron used to study the early phases of high mass star formation, complete the census of star formation in the inner Galactic disk, provide a snapshot of the current Galactic star formation rate, and measure the distribution and heating of very small grains in the ISM. The survey covers a 220 sq. deg. region of the inner Galactic plane, 65 deg < l < 10 deg and -10 deg < l < -65 deg for |b| < 1 deg. The survey complements the existing survey of the Galactic plane (GLIMPSE) and has significantly better resolution and sensitivity than previous infrared surveys covering the plane. Our systematic search for extended extra-galactic sources in the GLIMPSE and MIPSGAL mid-infrared surveys of the Galactic plane has revealed two over-densities of these sources, located around l ~ 47 and 55 deg and |b| < 1 deg in the Sagitta-Aquila region. These over-densities are consistent with the local large-scale structure found at similar Galactic longitude and extending from |b| ~ 4 to 40 deg. The infrared spectral energy distribution of these sources indeed matches those of normal galaxies. Photometric estimates of their redshift indicate that the majority of these galaxies are found in the redshift range z ~ 0.01 - 0.05, with one source located at z ~ 0.07. Comparison with known sources in the local Universe reveals that these galaxies are located at similar over-densities in redshift space. These new galaxies are the first evidence of a bridge linking the large-scale structure between both sides of the Galactic plane at very low Galactic latitude and clearly demonstrate the feasibility of detecting galaxies in the Zone of Avoidance using mid-to-far infrared surveys. Clusters of galaxies play an important role in advancing our knowledge of the physical processes governing galaxy evolution and cosmology. On the one hand, as shown by the work of Fritz Zwicky as early as 1933, the orbital velocities of galaxies in clusters can be used to infer the existence of dark matter. On the other hand, the number density of clusters as a function of mass and redshift can be compared to theories of structure formation and therefore offer a powerful probe of dark energy. In view of the cosmological exploitation of the Planck Sunyaev-Zel'dovich (SZ) cluster data, multiple observational programs are under way to obtain redshift and stellar mass estimates for clusters with z < 0.6 using WISE data, obtain redshift and stellar mass estimates for clusters with z > 0.6 using Spitzer data, identify and obtain redshifts of z > 3 protoclusters, and obtain dynamical mass estimates based on velocity dispersion of 0.2 < z < 0.6 clusters to calibrate the all-important SZ Y-Mass relation crucial to cosmological applications. Shells around NGC 0474 (MATLAS survey, Duc/Cuillandre/CFHT/Coleum). 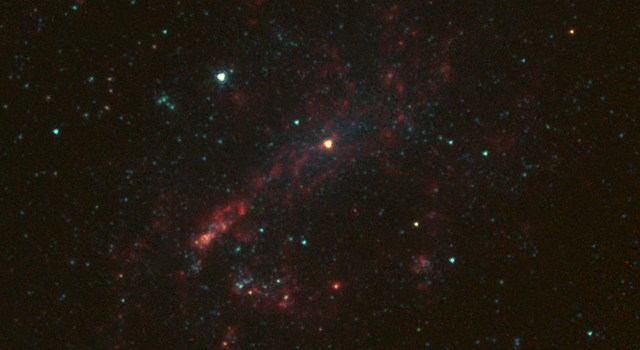 The dwarf galaxy NGC4395 shown in infrared light (Spitzer Space Telescope). The infrared emission from its central massive black hole (CMBH) is the bright source at the center of the image. Dwarf galaxies in the Perseus Cluster (HST/ACS/WFC).